Sprint Filter P08, P037 e P08F1-85 sono nati nelle competizioni. 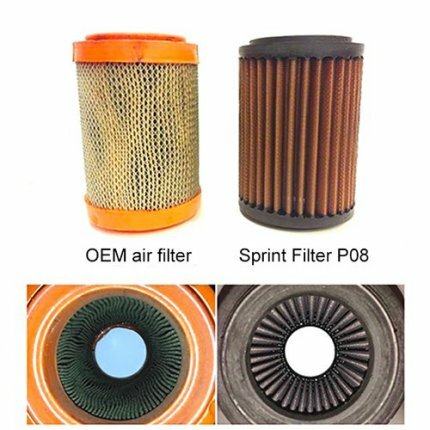 Sprint Filter P08F1-85 è il filtro aria più utilizzato nei Campionati del Mondo MotoGP, WTCR, Moto3, Superbike, Supersport e Superstock. Sprint Filter sperimenta ogni giorno nuove soluzioni alla ricerca di massima filtrazione e della minima perdita di potenza. 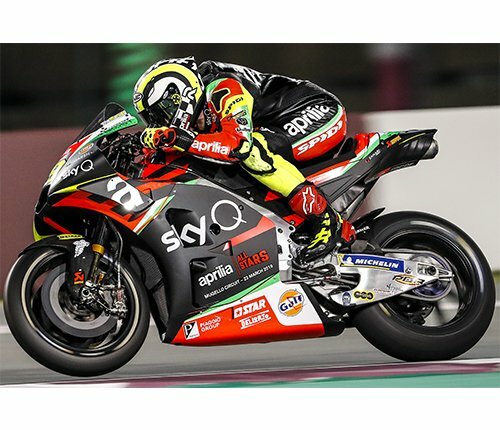 Nelle moto annoveriamo tra i nostri campioni piloti del calibro di Maverick Viñales che ha vinto con noi il Campionato Moto3 (2013), Kenan Sofuoglu (Supersport 2010, 2012 e 2016), Sam Lowes in Supersport (2013), Michael Van der Mark (Supersport 2014), Niccolò Bulega (FIM Moto3 Junior World Championship 2015), Lorenzo Dalla Porta (FIM Moto3 Junior World Championship 2016). Nelle auto siamo Campioni del Mondo WTCC Costruttori con il Team Castrol Honda (2013) e siamo fornitori unici delle Honda Civic TypeR del Mondiale WTCR e di tutte le Honda Civic TypeR TCR dei Campionati TCR nazionali. Dal 2019 siamo fornitori unici delle Alfa Romeo WTCR e di tutte le Alfa Romeo Giulietta TCR delle serie nazionali. Dal 2013 siamo Fornitori Ducati sulle moto 1199 PanigaleR, 1199 Superleggera, 1299 Superleggera, 1299 PanigaleR Final Edition, Panigale V4 Speciale, Panigale V4R. Siamo stati Fornitori Ufficiali di KTM per tutte le Moto3 (2014, 2015 e 2016), Mahindra per tutte le Moto 3 (2013, 2014, 2015), e di Aprilia Racing (SBK e MotoGP) a partire dal 2015. Current production vehicles are typically equipped with paper filters, while performance vehicles used oil-soaked cotton or sponge. An air filter job is to guarantee good air flow while preventing significant particles from ending up in the engine. These two operations naturally oppose each other and that is where Sprint Filters polyester filtering fabric takes a leap above the rest. The Sprint Filter polyester fabrics are extremely permeable, stable and are not affected by folding during construction. 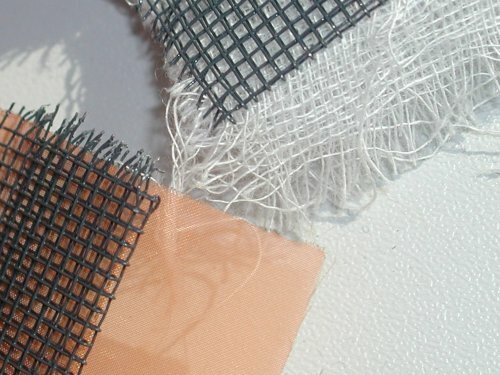 Cotton or sponge air filters, on the other hand, have a weaving that depends on the overlapping of numerous layers, leading to poor flow in some areas and ineffective filtration in others. 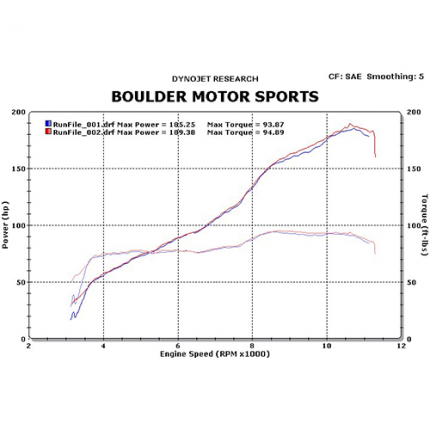 Sprint Filter P08, P037 and P08F1-85 air filters are totally different from others. There isn't an air filter in the world built with similar technology. The membrane filter consists of a fabric of polyester threads starting from ø 22 microns (P08F1-85). 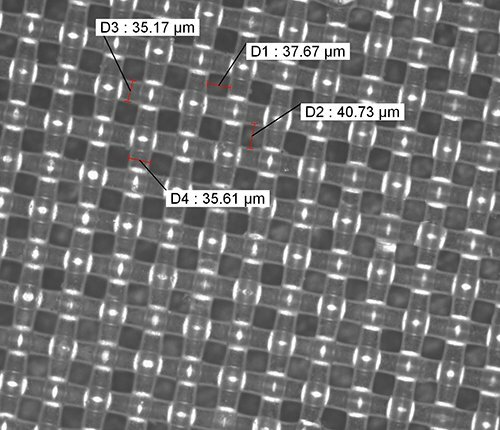 What's more, the filtering surface is doubled than any other special filter. Here's a shot of the cotton air filter and our P08 polyester in comparison. Sprint Filter air filters cleaning procedure is straightforward and quick: use an air jet, in the opposite direction of suction, to remove most of the debris collected. No washing or drying is necessary, so the filter can be refitted immediately. Maintenance of the air filter is essential for the protection, care, and efficiency of the engine. 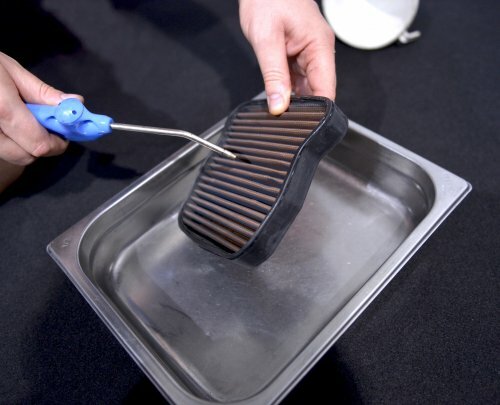 A clean and undamaged filter will always ensure the correct quantity of clean air for the air box. Another air filter maintenance aspect is how long it takes to clean. Apart from the time required for disassembly and reassembly, cotton and sponge air filters demand downtime for washing, drying and oiling the filtering element, none of these operations are required with a Sprint Filter air filter.